Well, fall is here, bringing with it football season and the fun of tailgating!! Kraft Foods has brought to my attention a very worthy cause which encompasses both food and football! Kraft Foods has started their campaign, "Huddle to Fight Hunger," and we would like your help in spreading awareness and helping out this great cause. Did you know in 2010, 17.2 million household, that's 1 in 7, were living in hunger? This holiday season, we would love for you to help these people out and we've got something in it for you too! Last year, Kraft's “Huddle To Fight Hunger,” campaign raised 21 million meals through the support of passionate football fans and community members. This year, the goal is to donate the monetary equivalent of 25 million meals to Feeding America. By “Liking” the Kraft Foods’ Huddle to Fight Hunger Facebook page and playing the interactive game “2-Minute Trivia Drill,” fans will be helping donate one meal to Feeding America. Each online meal donation will be put toward reaching the 2011 campaign goal of donating 25 million meals to the program! You can also choose to donate your meal directly to a local community food bank by entering your zip code. So, its a good cause and all it takes is a couple clicks of the finger. Need more? Want to win a Huddle to Fight Hunger Tailgate kit? I received one for this post and took a picture to show you the prize. 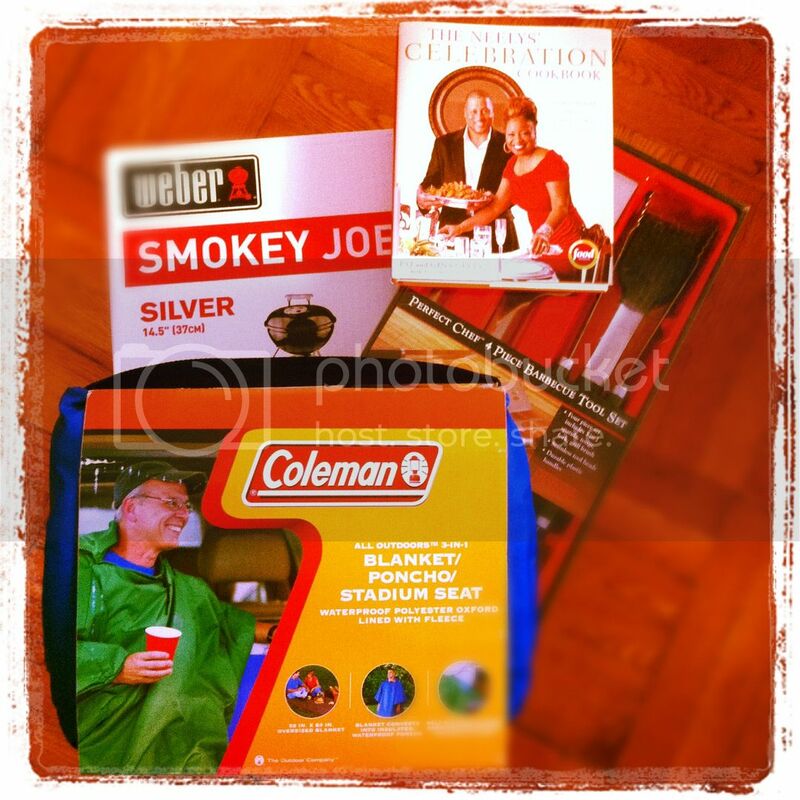 It includes all the essentials you need for a great tail-gating party is valued at $110. Win It: 1 Whirlwind of Surprises' reader will get the chance to win a Kraft Foods Huddle to Fight Hunger Tailgate Kit ($110). 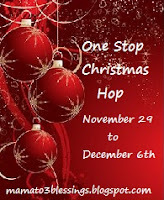 Come back to enter the giveaway as part of the One Stop Christmas Hop Nov 29-Dec 06 with $430+ in prizes! Make it easier on yourself by showing the sponsors some love now: Like Kraft Fight Hunger on facebook. Play the game online! I'll give you extra entries. It's for a good cause. Just do it. Disclaimer: The product/s mentioned above have been provided by Kraft Foods for the purposes of this post. No other form of compensation was received. Opinions expressed belong to Whirlwind of Surprises and are NOT influenced in any way. Please view my full disclosure. Kudos to Kraft for helping with the hunger epidemic. Thank you so much for bringing attention to a very serious issue. i have always loved kraft foods. there foods are Delicious. first thing that comes to mind is the mac and chesee. they are so incredible for there cause by helping to stop hunger. it is an awful feeling yo be hungry and not know how you will eat. so thank you kraft and you for posting this. I love Kraft products and I love this cause even more. I am going to play the interactive game and help out!! What a great cause! Kraft is awesome. Hopping for Your Honey Event -Sign ups open! Earn free #cash and #prizes with #Superpoints! #SmartBones Chews #Review -A delectable treat..
Upcoming Blog Events, Sign up open!